This large mug features a picturesque view of the British countryside and is perfect for warming up with a cup of tea, coffee or hot chocolate. As with all of Jo's products, this mug is made in the UK. In fact, it is completely manufactured from start to finish in Stoke-on-Trent, the heart of the Potteries. Fine bone china and hand finished with Jo's unique design on an elegant, classic shape. 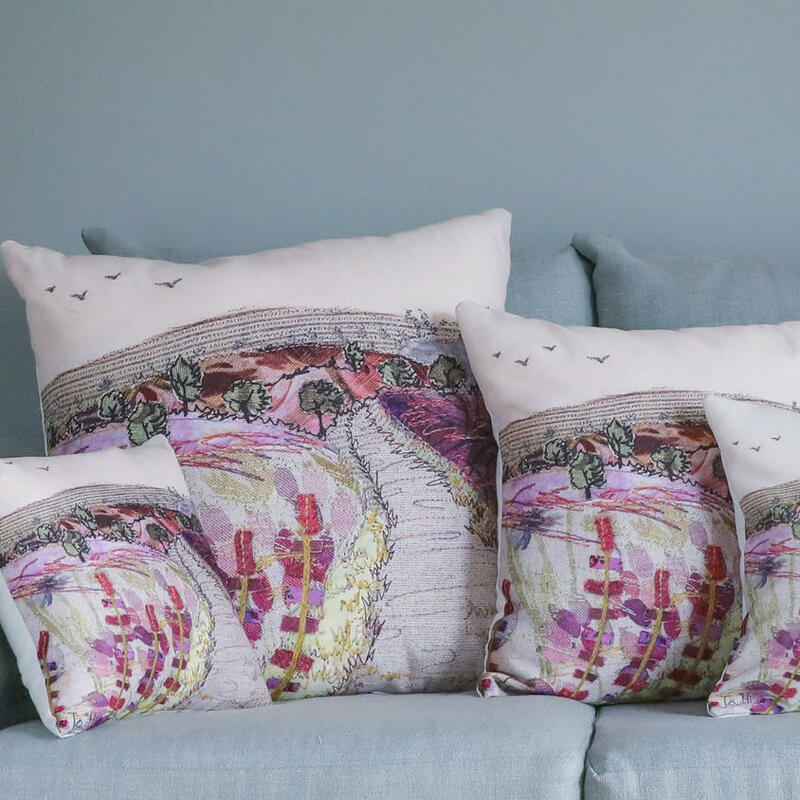 "I created my original, handmade Cannock Chase design in stunning pinks, purples and greens. This mug is an excellent reproduction of my original embroidery and is the perfect reminder of this popular countryside destination. I created the design from my studio in the heart of the Staffordshire countryside. It was created using free motion embroidery, an exciting technique where I use the sewing machine to 'draw' the details of the scene onto the fabric with the sewing machine." Care: this mug is microwave and dishwasher safe. Bone china is durable and will last a long time. Your mug will arrive carefully packed in a protective box and would make a lovely gift for any wildlife fan.